The same people pushing the big climate lie were behind the attempt to overturn the 2016 election. Americans need to get serious about rooting out this evil and corruption. You’re right. This leftist mindset crosses many fields. It’s not limited to politics, or even climatology. And they’re just getting madder. Tough times ahead. The best is:The left is the supercompetent authority in everything. They know everything people want without ever asking them. Trump just needs to follow the path of the left and your country would be gone for bad. and that’s what the left hates about him. 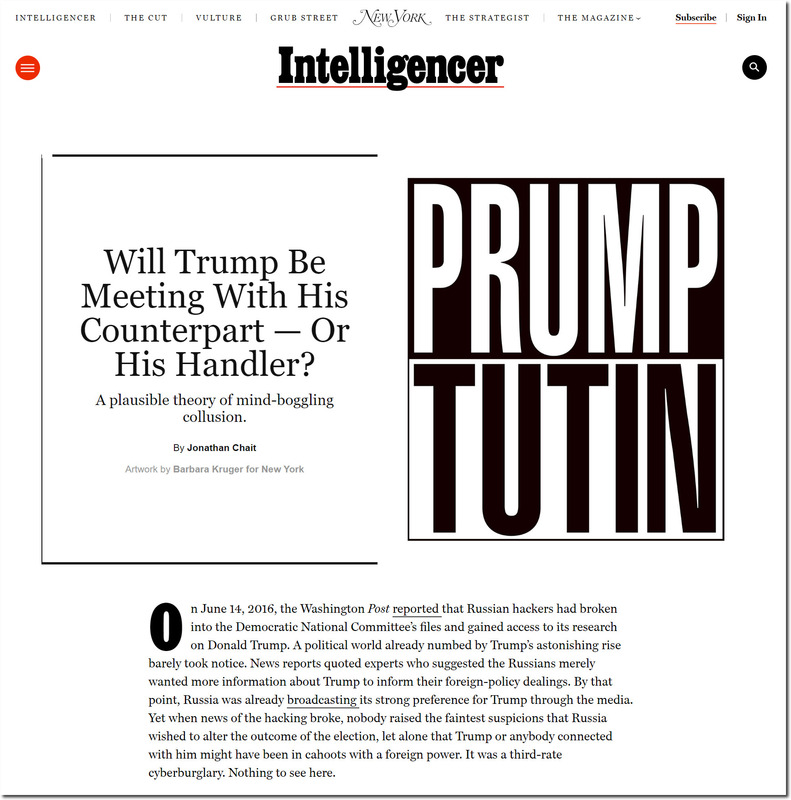 The idea that Trump called up Putin to help him win the 2016 Presidential Election is so preposterous on the face of it, it is beyond imagination that anyone could have believed it. But they did. I am guessing that it was the same people who panicked during the Orson Welles The War of the Worlds radio broadcast. Not bright enough to think for themselves and turn the channel for verification. These same people are now convinced of Global Warming and will not be persuaded otherwise, short of another Ice Age. Vostok cores seem to tell us we’re in one now, below the interglacial line and about ready to take the really deep dive into the abyss[mal] cold. In which case we should be pumping it out like crazy !! The most terrifying part of this epic psyops against Trump is that is might have worked. Any lesser man would have caved under the threats to him, the threats to his children and to his businesses. It was relentless, non-stop, for 2 freaking years! There needs to be a very high price paid by those involved with this Intelligence Agencies + Media psyops. Or it will happen again. We almost lost our democracy.